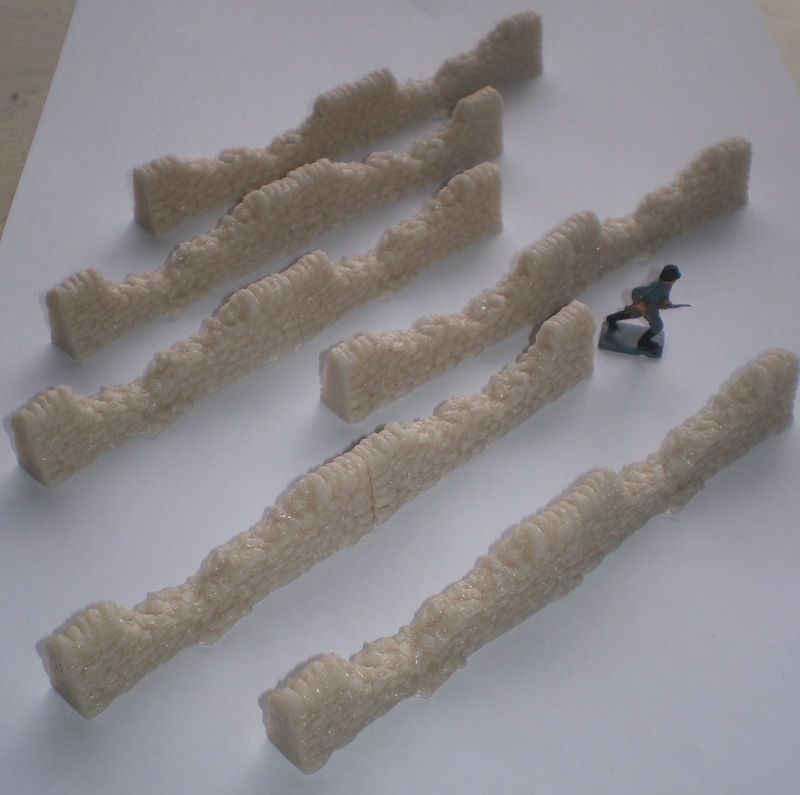 The sets comprise 12 wall sections each measuring 66mm long by 8mm wide (at the base) and 16mm high. The walls have 6 layers of stone with a further layer of coping stones on the top of the wall although each section has significant damage to the wall with the lowest sections being 6mm high. The walls narrow and measure approx 5mm wide at the top. The Airfix figure is shown for scale and not included in the sale. Resin cast accessories.